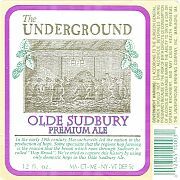 Light, watery, unobtrusive New England ale brags about its ‘hoppy’ 19th century history. Bitter nuttiness forms at back of the throat but slim fruitiness, spritzy carbonation, and unstable barleymalt spine lack assertiveness. For amateurs ready to crossover from run of the mill pilsners to microbrewed ales only.